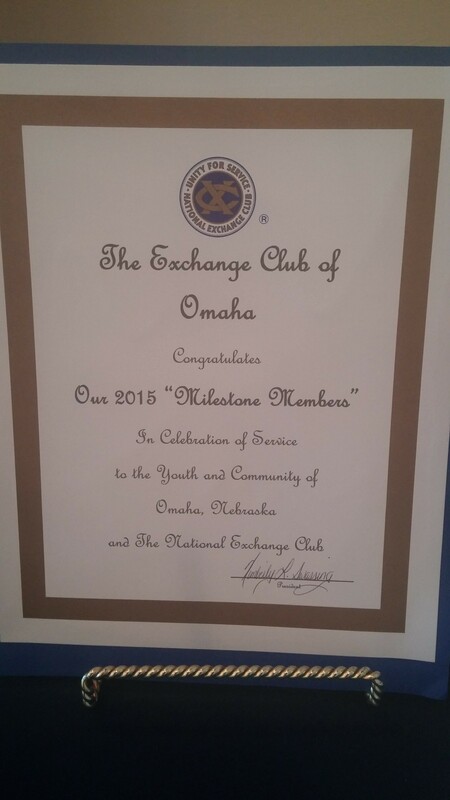 The Exchangites of Exchange Club of Omaha not only enjoy committing their time to service...they like to have FUN! We enjoy celebrating others' achievements and successes, gathering casually outside club meetings, planning social events for Club members and their families, and plotting and stealing against each other for what we each consider to be the BEST "ornament" at our Christmas Party! 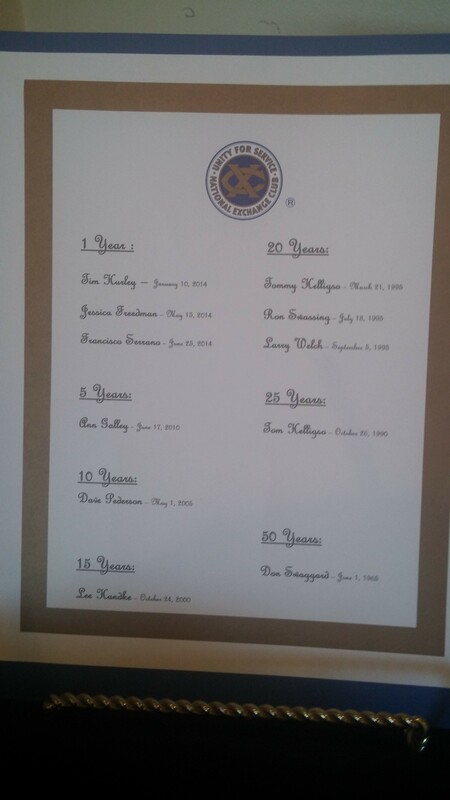 End-of-Year Celebration for all our "2015 Milestone Members". An extra-special celebration, along with a delicious cake, extended our appreciation for Exchangite Don Swaggard. 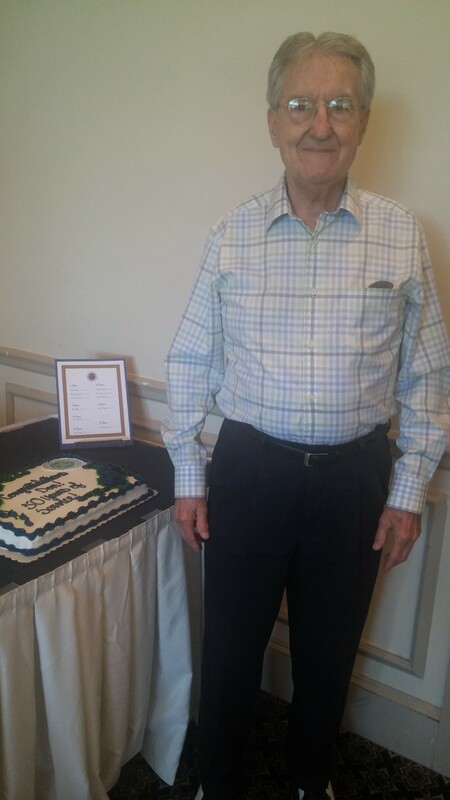 He has been a member of The Exchange Club of Omaha for 50 YEARS! 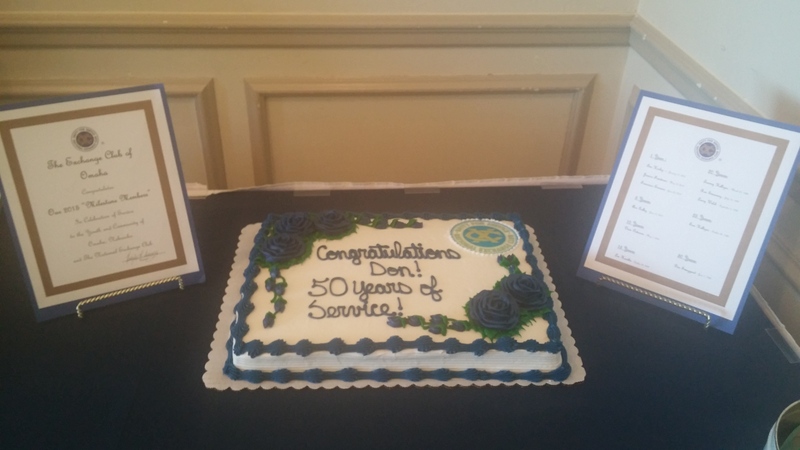 Congratulations, Don!